We understand how important it is to see. When it comes to ophthalmology, we don’t mess around. There is no denying the importance of vision, which is why our Oklahoma ophthalmology is the best out there. Ophthalmology covers a multitude of treatments that pertain to the eye. 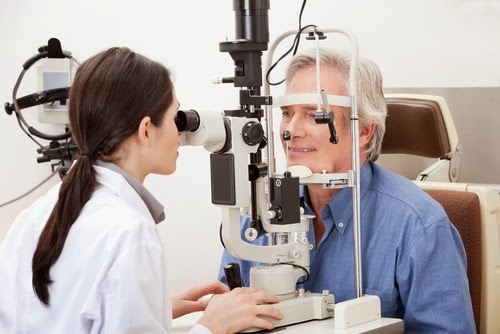 At Summit Medical Center, we can perform a number of ophthalmology procedures depending on your individualized needs. In fact, it is our commitment to provide the highest quality individualized hospital patient care. An ophthalmologist is trained to provide the full spectrum of eye care, so you can rest assured knowing that you are going to receive quality treatment for any of your eye ailments. · Decreased vision, even if it is temporary. · Floaters, or black “strings” or specks in vision. · A veil that is blocking vision. · Haloes, which are colored circles around lights. · Any instance of eye injury. · Bulging of one or two eyes. Our eyes are the best source of sight that we, as humans, have. Although we can compensate for vision loss through other means, it is still crucial to take the utmost care of our eyes. If you wear contacts, for example, always make sure to take them out before sleeping. Otherwise, you can wake up with some highly unwanted effects. Corneal neovascularization can occur as a result of the lack of oxygen eyes receive due to them being worn overnight. The aftermath results in red and puffy eyes which can take days or the help of a professional to get rid of. It’s always important to take care of your eyes in order to prolong vision. However, if your eye problems are truly severe, it’s time to see an ophthalmologist.